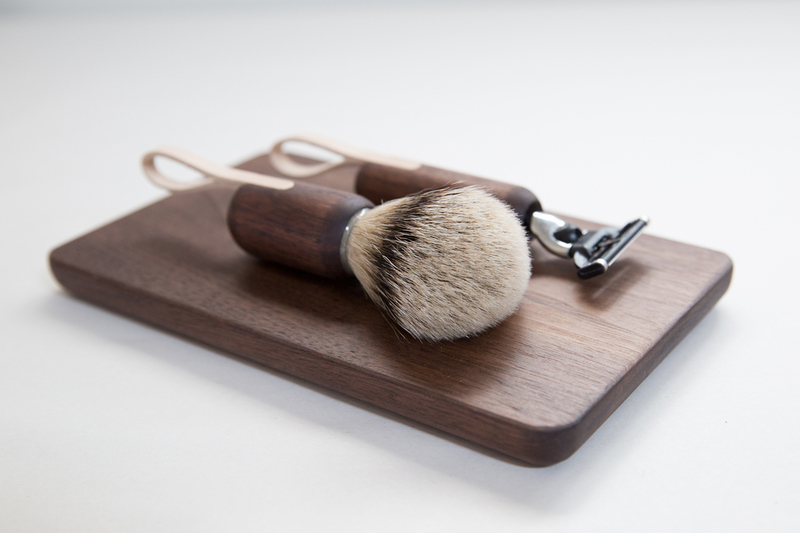 Domestic Black Walnut (linseed oil/wax finish) razor and shaving brush with leather detail. Part of Kalon’s small batch, wood and leather Coyote Collection: tools of refinement for the urban animal. 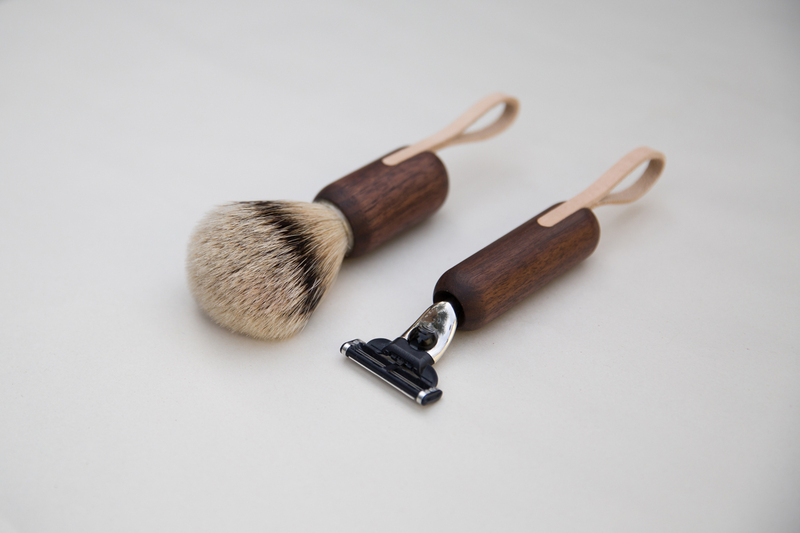 Shaving brush comes with a 100% natural, silver tipped badger knot. Known for its superior water retention, lather and overall softness, the silver tipped badger knot is the most luxurious and rarest of badger knots. Razor has a Mach 3 shaving head. 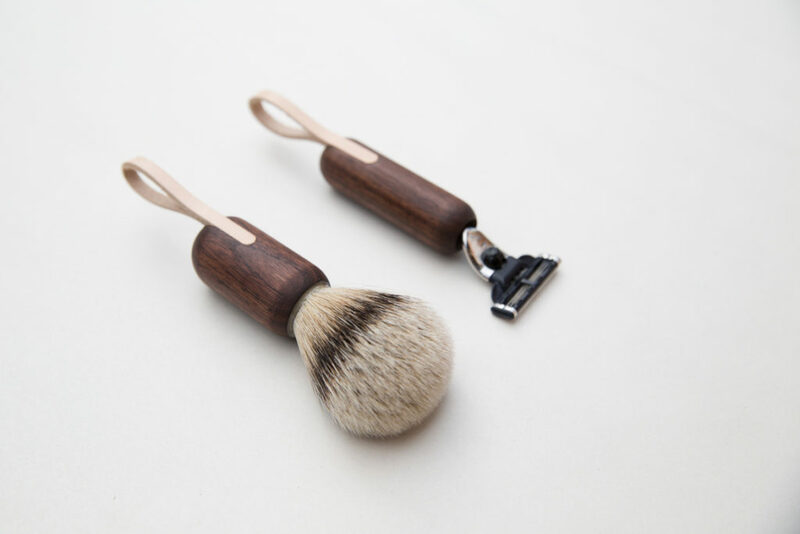 • Solid Black Walnut handles with leather detailing. 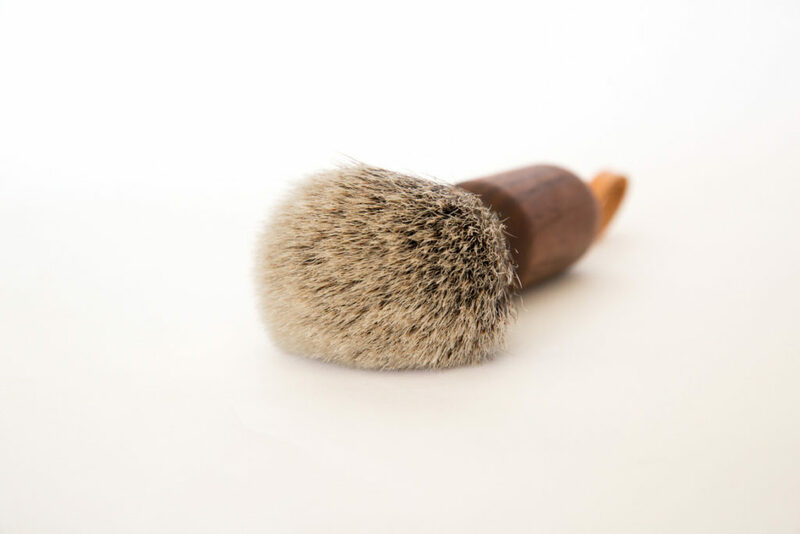 • 100% natural, silver tipped badger knot shaving brush. • Razor has a Mach 3 shaving head. • Materials selected for to their ability to grow more beautiful with age and use.